Such a simple yet anxiety-inducing question. It’s practically everyday conversation for every graduating senior in college right now. Not to mention we live in a society that tends to fixate on what’s next. The future tends to take priority. Traits like ambition, drive, and planning are valuable characteristics to embody. Before you know it, you can find yourself living more in the future than the present. I won’t lie, it did take me awhile to decide what to write about. After numerous blog entries through the Goodnight Scholars Program, it was a daunting task picking what to, and not to, say in my last post ever. 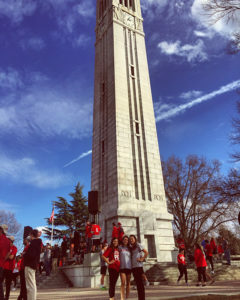 With graduation only a couple of weeks away, I find it only fitting to share my non-exhaustive “Do’s and Don’ts” list that I have acquired over my four years at NC State. For those of you who remember the classic Nickelodeon show, “Ned’s Declassified School Survival Guide”, this is my attempt to create my own spin on an NC State version. I wanted to take a break from feverishly planning what shiny, new thing will be next and spend time reflecting in appreciation. It’s easy to become immersed and overwhelmed by the craziness when you first arrive to campus. With such a vast array of activities to choose from, it may seem difficult to prioritize how you want to spend your time. I’ve learned that while it is easy to stumble and stray, these are the perfect years to learn how to navigate and figure out what YOUR path is. Try not to get so caught up in fitting in or pleasing others, but focus on what makes you happy and keeps you sane. Explore and try new things, but don’t forget who you are as a person at your core. Also, be sure to take pictures to capture these moments. There’s nothing quite like it when a majority of the student body comes together in a time of excitement, joy, and pride. 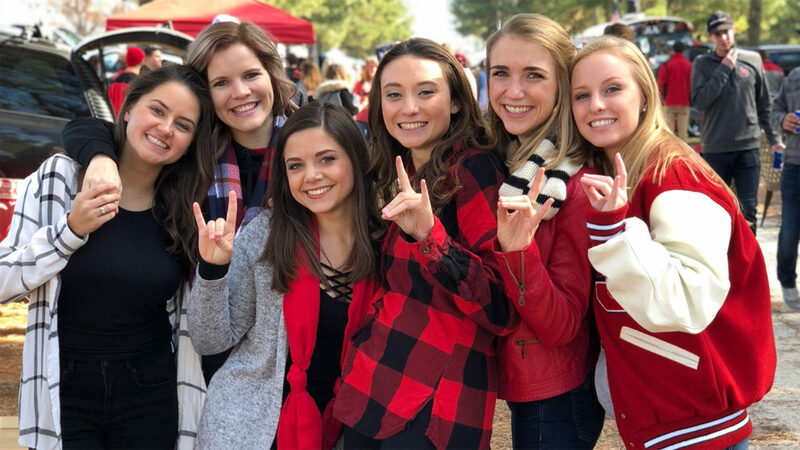 The sense of community at NC State becomes almost palpable during these special moments. I may come across as a bit cheesy, but it’s times like those that exemplifies the “pack” in Wolfpack. Careful not to misinterpret what I say here. Yes, I encourage everyone to do as much as they possibly can on campus. You will have plenty of classes, clubs, and free time on campus, and you should make the most of it all. However, I also encourage everyone to take advantage of being in the wonderful city of Raleigh. Explore the city and surrounding areas as much as you can. 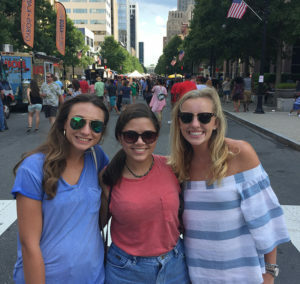 The museums and restaurants downtown, the Farmers Market, the North Carolina State Fair, Pullen Park, Lake Johnson, and the Raleigh Rose Garden are a few of my favorite and most convenient places right near campus. Attend as many career fairs, workshops, luncheons, and various events as possible. There is a plethora of opportunities to develop yourself professionally, personally, and academically. 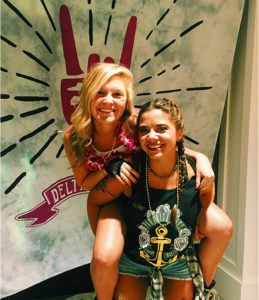 Now is the time to take advantage of all of these free and easily accessible events before you head out into the real world. I have grown to live by a rule that if it will not matter in five years, don’t spend more than 5 minutes worrying about it. There will be times when you become upset or stressed out; it comes with the territory of college. It is important to take the time to experience your emotions and learn from the experience, but be careful not to let the small stuff control your overall outlook and happiness. Acknowledge it, experience it, deal with it, and move on. You will come across so many different people during college. Throughout all of the connections and relationships you develop, there will likely be a handful of people* that truly leave an impact on you. During the ups and downs of college, those people will be the ones who celebrate with you in times of happiness and success, and the ones to pick you up when you fall and fail. Your friendships are no longer dependent upon convenience or ease; these relationships are substantial and lasting. Cherish them every moment you can. *To my own, (you know who you are), thank you. You have changed my life for the better. If college has taught me anything, it is how to embrace failure with open arms. I’ve learned the importance of striving for excellence rather than perfection. Life’s too messy and unpredictable to be perfect. Some of my best learning experiences and memorable moments have stemmed from failure or circumstances that did not go the way I had planned. That being said, never be afraid to reach out for help. Whether it’s because you are struggling in a difficult class, you need someone to be a sounding board to deliberate life decisions, or because your mental and emotional health depends on it, let go of your inhibitions and get the help you need. There is power in the support and community of others. I could go on and on with the many different do’s and don’ts I have learned along the way; these are just a handful of highlights. Perhaps one of the most incredible aspects about college is the opportunity of finding out life lessons on your own. The degree to which your autonomy develops each year is shocking. You begin to learn how to make the best decisions for yourself and how you want to lead your life. The process of trial and error becomes second nature, and you begin to realize that the “Think and Do” motto becomes an integral principle of learning. As I reminisce on my time at NC State, I cannot help but smile with abounding gratitude at the opportunities that have been afforded to me. When you break it down into number format, you end up with 4 years, 8 semesters, 4 countries, 130 credit hours, 9 leadership positions, and roughly 45 athletic events. What you cannot see from those numbers are the unforgettable memories, influential growth, and life-changing moments. In regards to preparation for the real world that lies ahead, I feel that NC State and the Goodnight Scholars Program have shaped me into the individual I want to be. I think that’s partially why it is such a difficult goodbye to come to terms with. Both the Goodnight Scholars Program and the University have played such vital roles in my life the past four years. May 12th is approaching quickly, and time is unforgiving. The relativity of time is an interesting concept because college years can fly by while the hours of a workday drag on. 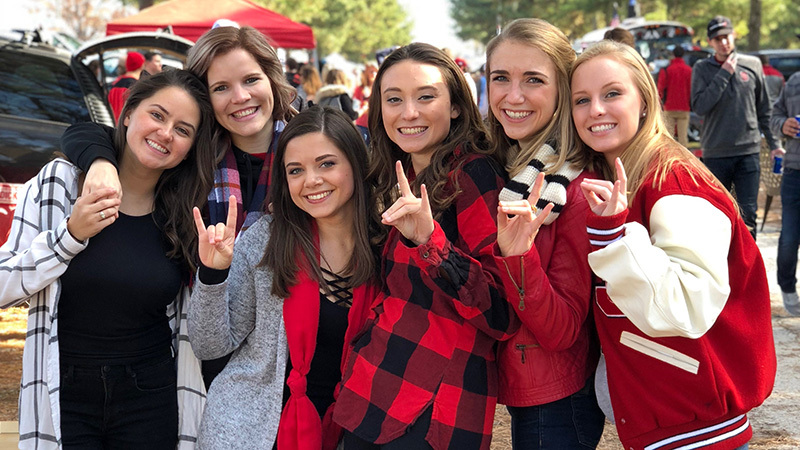 How will you spend your limited time at NC State? How will you spend in your time in general? I want to take a moment to so humbly thank Dr. and Mrs. Goodnight for granting me the ability to have a college experience that was far from ordinary. The fruits of their overwhelming generosity are what have provided me the opportunity of a lifetime. It is quite difficult to convey the sincere gratitude that I have for them. Through their ability to see a need and meet that need, Dr. and Mrs. Goodnight relieved a burden from my family and I that could have very well been a roadblock to my future success and endeavors. I strive to make that kind of difference one day. While I may not be able to call myself an NC State student in a few weeks, I am excited to see where the title of NC State alumna takes me. Our hearts ever hold you, NC State, in the folds of our love and pride. And perhaps one of the last times I will say this as an undergraduate student…GO PACK!